Merry Christmas from Nickie the pug! We’re wishing all of our family and pug friends a very merry Christmas this year! Nickie is would also like to say thank you to our friends Rosie, Lola, and Mac for the beautiful pink scarf! 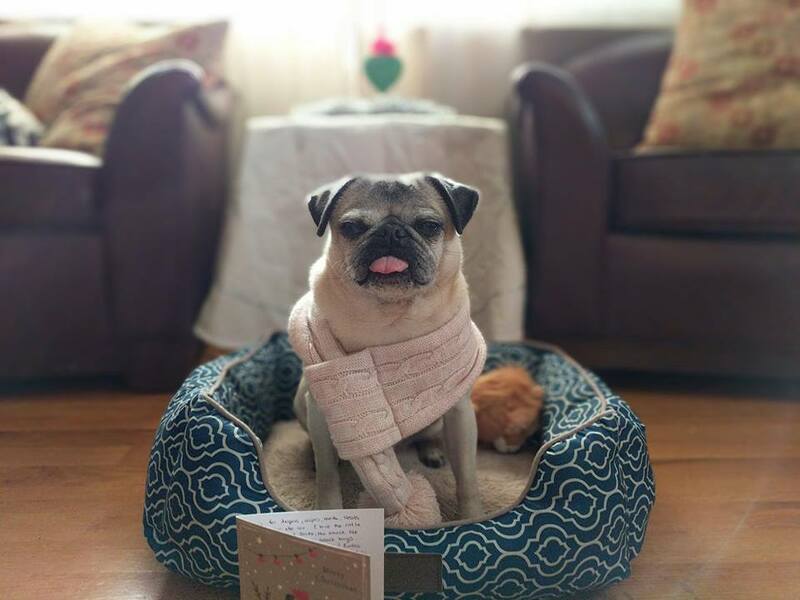 It is perfect for keeping her puggy floof cozy during the holidays!